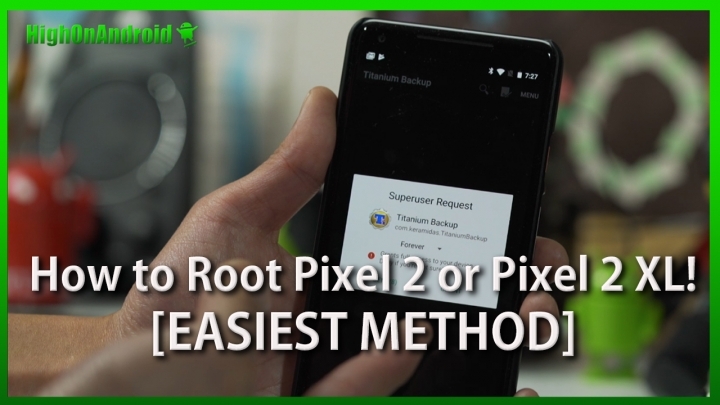 This root method should also work for future Android versions but this guide is based on Android 8.0.0 Oreo. 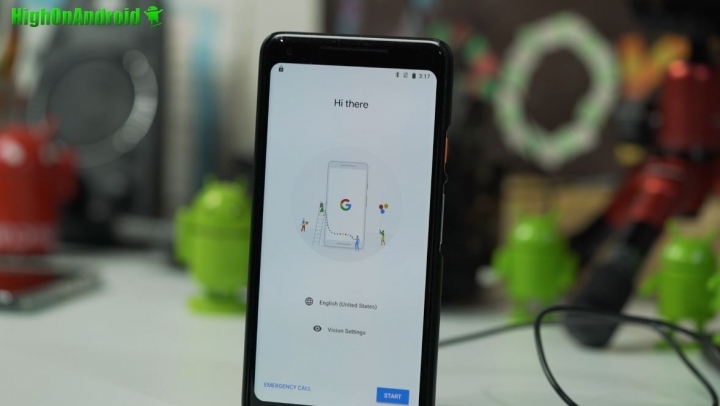 For Android P, please follow How to Root Pixel 2/Pixel 2 XL on Android P! Step 1. Go to Settings->System->about phone. Step 2. Tap on “Build number” about 5 times until it says you are a developer. Step 3. Tap the back button and you will see a new menu option called “Developer options”, tap on that. Step 4. 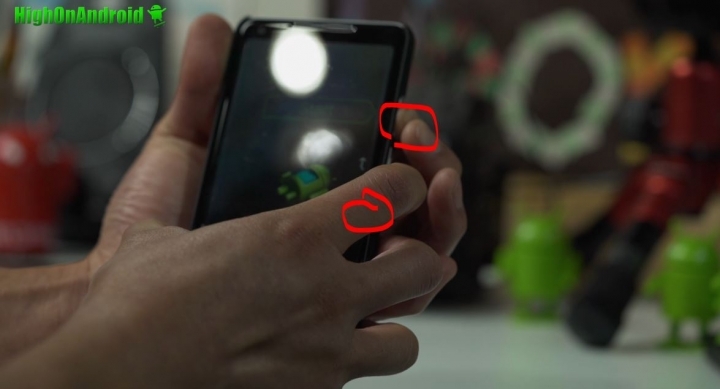 Make sure “OEM unlocking” is checked ON! Step 5. Power off your Pixel 2/Pixel 2 XL. 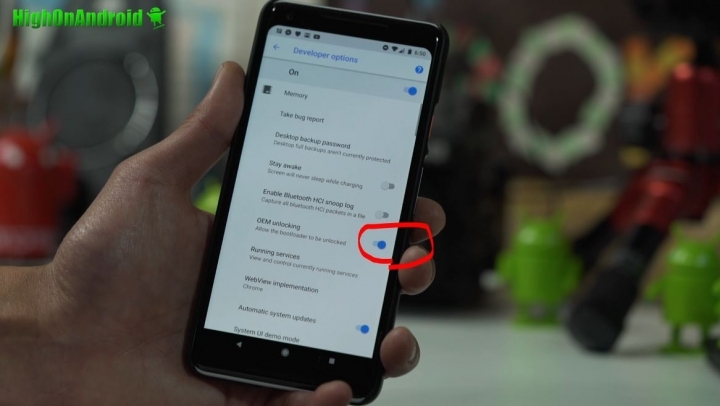 Then hold down Volume Down and Power buttons together until you enter the bootloader menu where you will see an Android figure with its belly up. Step 6. 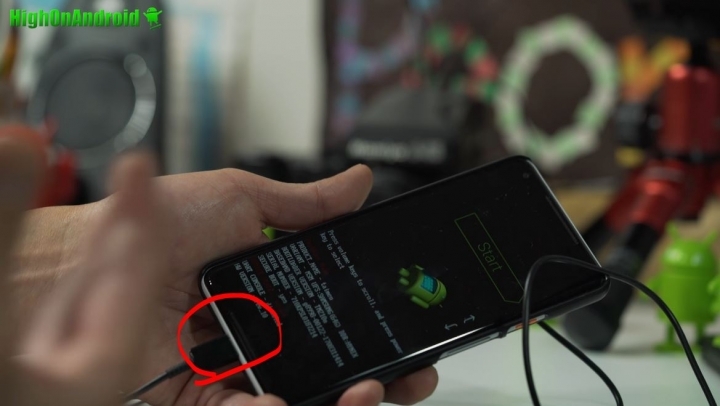 Connect a USB cable from your phone to your computer. Step 7. 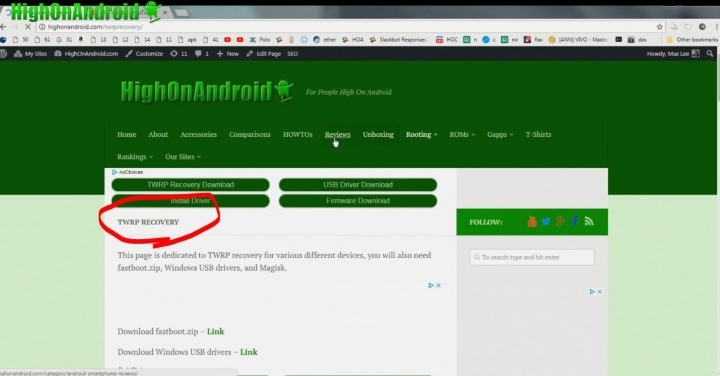 Go to our TWRP Recovery page and download fastboot.zip, Windows USB drivers(if using Windows, no drivers needed for Mac/Linux), Magisk, and the TWRP image AND zip file for your Pixel 2 or Pixel 2 XL. That’s a total of FIVE files you will need. Step 8. 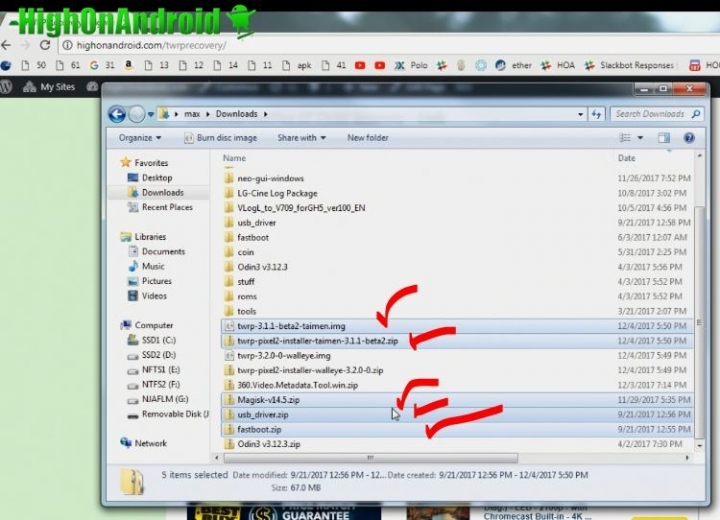 Unzip fastboot.zip and usb_driver.zip files and you should get two new folders with the files unzipped. Step 9. 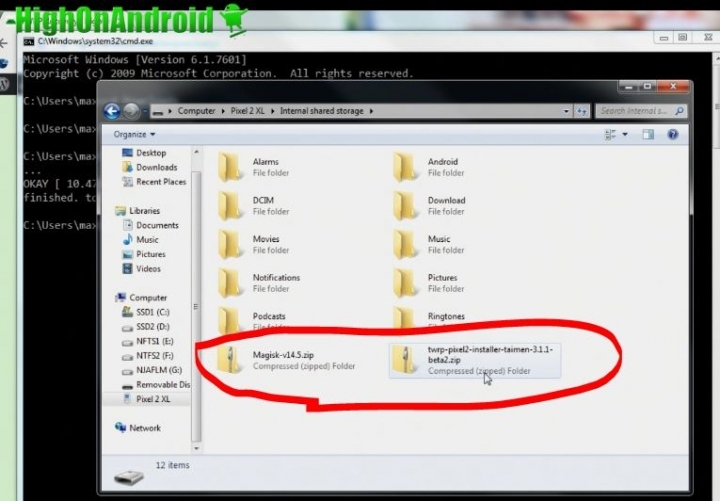 Copy over the TWRP image file(file ending in .img) into the fastboot folder. Step 10. 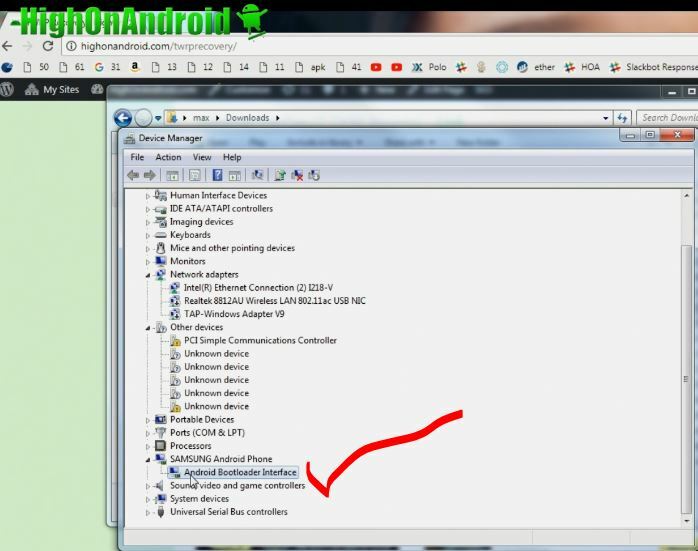 For Windows, install drivers (watch the video tutorial if you don’t know how) and make sure you have “Android Bootloader Interface” in your Device Manager. *NOTE – This WILL ERASE EVERYTHING ON YOUR PHONE! Step 12. 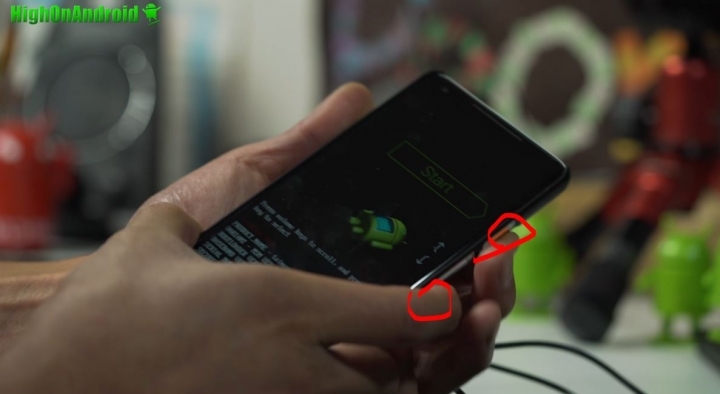 Go to your phone, use Volume keys to select “UNLOCK THE BOOTLOADER” then hit the Power key to unlock the bootloader. Your phone should reboot automatically but if it doesn’t hit the Power key to start the phone. Step 13. After 5-10 minutes, you Pixel 2 or Pixel 2 XL should boot to the welcome page. Step 14. 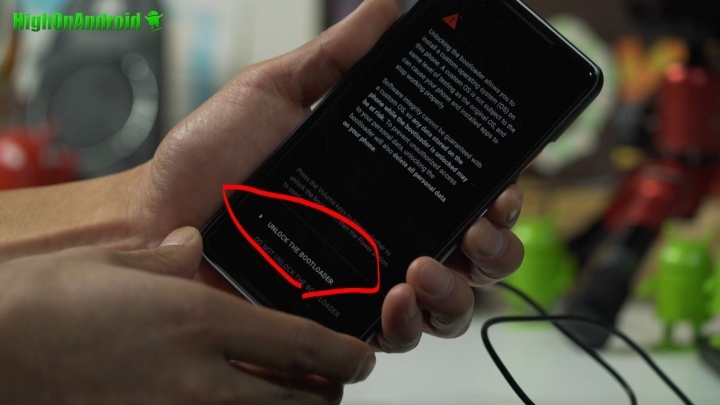 Go ahead and sign in then connect your phone to your computer as storage. Step 15. 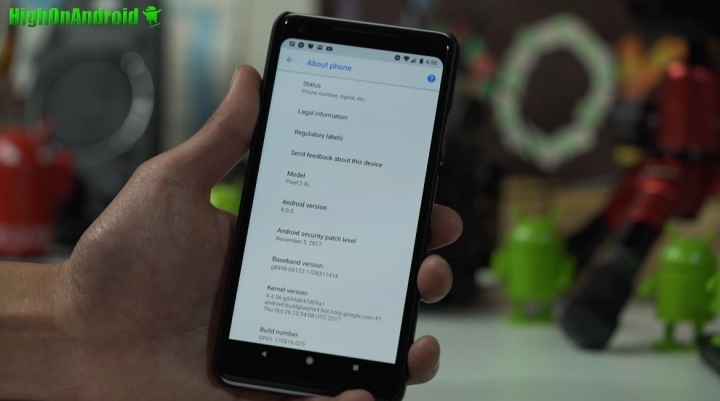 Copy over the Magisk and TWRP zip files over to your Pixel 2/Pixel 2 XL. Step 16. Power off your phone then reboot into bootloader mode again by holding down Volume Down and Power buttons together. Step 18. You should now be booted into TWRP recovery, choose “Keep Read Only”. Step 20. 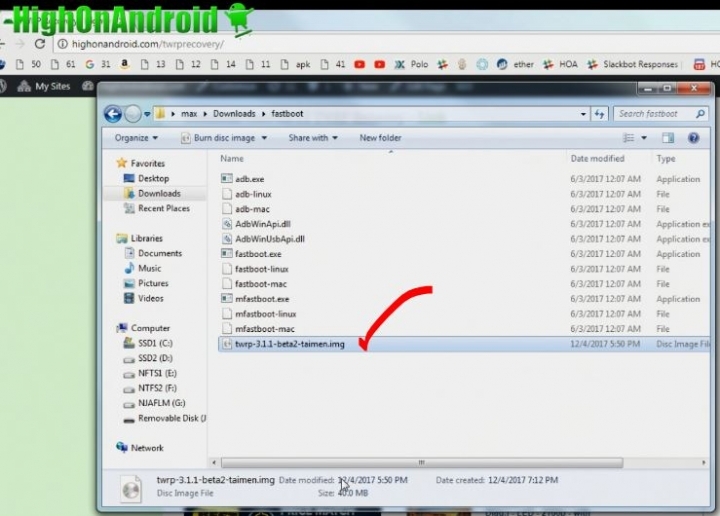 Install the TWRP zip file. Step 21. Install the Magisk zip file. Step 22. 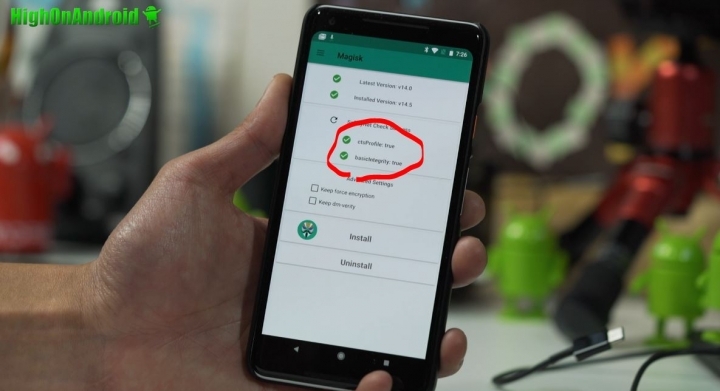 Reboot and you will find Magisk Manager app in your app drawer, tap on it to run. Step 23. Check of SafetyNet check and if your phone passes, you are fully rooted and also hiding root from AndroidPay and other apps that check for root. Yes, you can use AndroidPay and apps that block root now! Step 24. 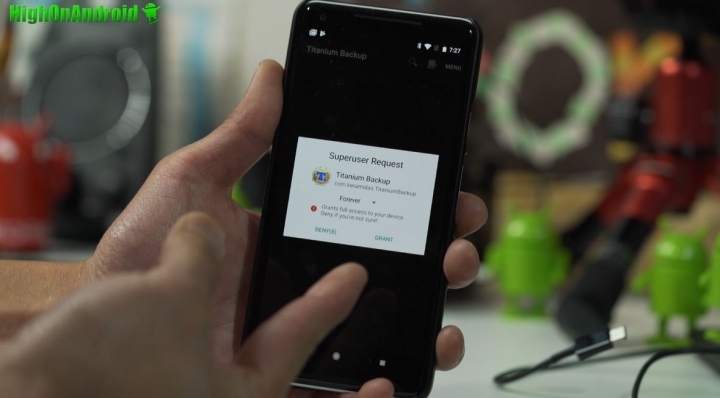 Verify you have full root by installing and running Titanium Backup app on the Play Store. You should see a Superuser request window like below. 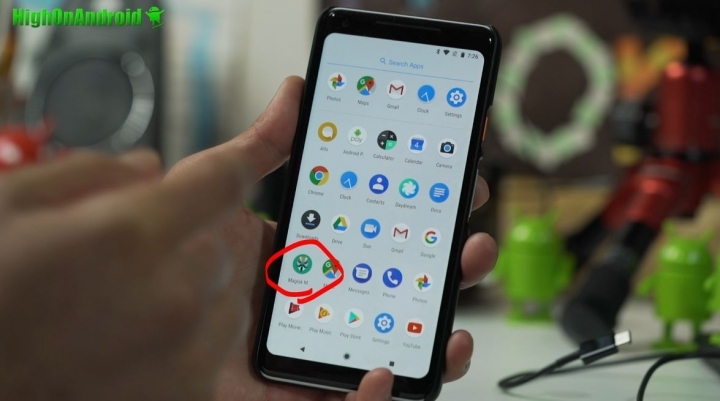 If you do see it, CONGRATS, you have FULLY rooted your Pixel 2 or Pixel 2 XL! Just a heads up when you get to the TWRP part, it’ll ask you for a password. Just type in your pin you use to unlock your phone. If you don’t the files won’t be decrypted. I tried everything to root from steps on xda etc. and cannot get rooted. I did get my bootloader unlocked, but cant get twrp to take. I get bootloops. Even did a factory reset, but it didnt reset anything..strange. Any suggestions would be great. I Did exactly what you showed it worked and then I decided I didn’t what to root my phone so I factory reset my phone and now my bootloader is still unlocked but telling me my console is disabled. help? Where does it say that? 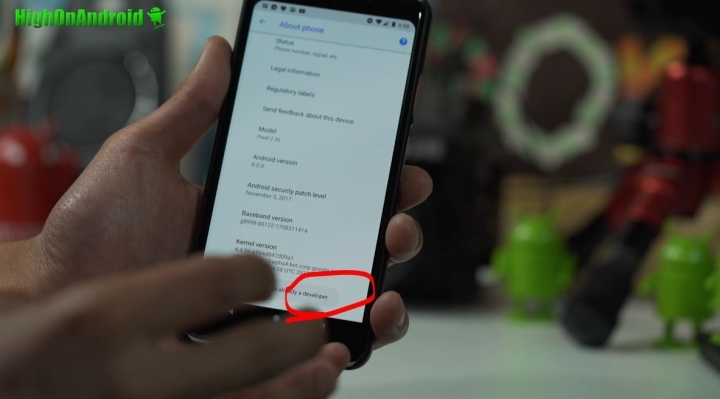 You need to reflash stock firmware try: https://highonandroid.com/android-smartphones/how-to-install-android-p-preview-pixelpixel-xlpixel-2pixel-2-xl/ use latest oreo firmware but instructions are identical. Will this work with May security patch 8.1.0? 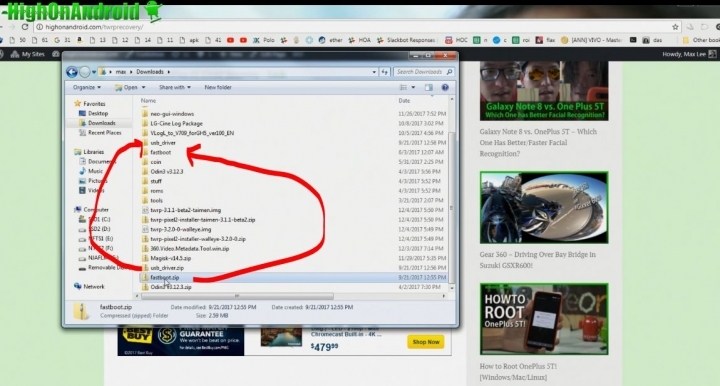 What if the zip files don’t appear after I’ve booted into twrp? All I get are folders with random letters and numbers. Hi, thanks for posting this. I followed all the steps and did all this. Everything seemed to work but at the end, Magisk shows it as not rooted. What could have I done wrong? 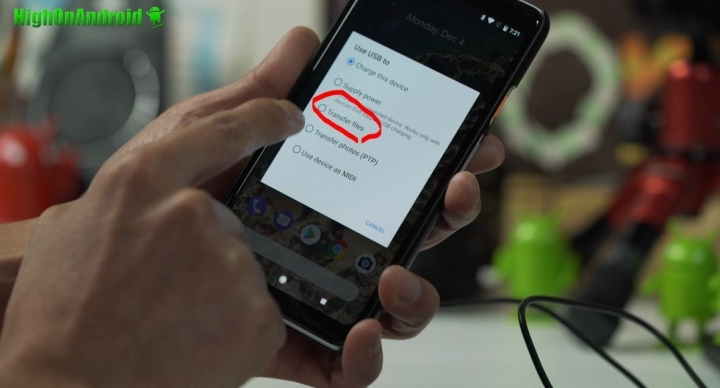 I have a pixel 2 xl and when i go into developer mode the oem unlocking option is disabled. What should i do please help! Previous story Galaxy Note 8 vs. OnePlus 5T – Which One Has Better/Faster Facial Recognition?